Anyway, we were in Seoul, South Korea recently for a small 'holiday'. Was hoping to see some exciting watch shops but alas, there were not many. Perhaps it were the places we visited, palaces - Gyeongbokgung, Deoksugung and Changdeokgung, outdoor markets - Myeondong and Namdaemun and aquarium - Coex Mall. 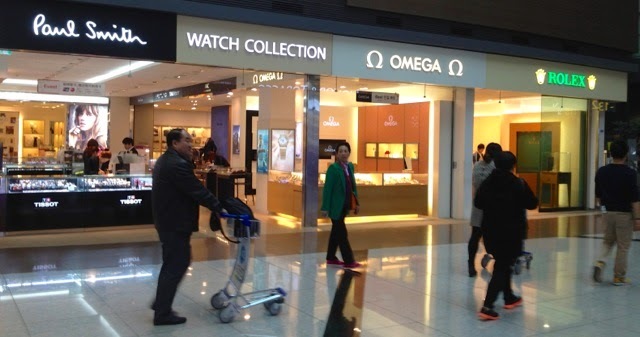 We did see a small stand in the Lotte Mall selling Ice-Watch, but that was the extent of watch shops that we saw. Anyway, there is a watch shop in the airport and they do have a nice selection of watches. I am sure that there are watch shops in the larger malls in Seoul, but in this visit, we decided to stay out of the malls.